Q5: Why does my Policy Anniversary Statement look different? A5: At AXA, we regularly review and enhance the quality of our products and services in order to serve our customers better. The Office of the Commissioner of Insurance (OCI), which is the insurance regulator in Hong Kong, is also placing an increasing emphasis on providing customers with adequate and clear information. With reference to the regulation OCI introduced recently, we have enhanced our on-going communications with customers to support their understanding on the policies. For participating policies and universal life policies, an Illustration Summary will be inserted to the Policy Anniversary Statement that sent to customers each year. It outlines both the guaranteed and non-guaranteed benefits based on the latest performance and the outlook of the participating funds. The Policy Anniversary Statement is also enhanced to provide more comprehensive policy information. Given the different nature of each product and policy, Policy Anniversary Statements may consist of different sections. Q6: Why are different terminologies used in my policy contract, proposal and other correspondence? Q1: Why do I need life insurance? A1: While you work hard to build a better future for you and your loved ones, you also need to shield your family from any unexpected financial burden. By taking a life insurance plan with AXA, you can be assured that your family is protected against the financial difficulty in the unfortunate event of your death. Q2: What can I choose for the life protection and savings insurance? A2: In addition to life protection, some of our products also offer a savings element for your wealth accumulation. The table below summarises the life insurance plans that AXA currently offers. Q3: How can I benefit from a participating policy? A3: You can share the profit from AXA through a participating policy offering non-guaranteed Annual Dividends / Reversionary Bonus / Terminal Bonus / Terminal Dividend. Wealth Advance Savings Plan, Smart Protector II Life Insurance Series, Smart Jumbo Saver III Savings Series, Smart Saver III Savings Series, MAXX II Savings Series, Prime Harvest Income Plan, Ever Harvest Income Plan, Fortune Guard Life Insurance and Fortune Protector Life Insurance are participating policy. To understand more about a participating plan, please click here to view the “Participating Policy Fact Sheet”. Q4: How to determine the non-guaranteed benefits of a policy? A4: AXA will determine the non-guaranteed benefits from time to time by taking into account the past investment performance of and future long term investment outlook for the underlying assets which support the relevant insurance policies. For some products, we will also consider the Company’s other experiences such as expenses, claims and/or policy persistency in determining the non-guaranteed benefits, where the factors depend on the underlying profit/loss sharing mechanism of the products. To understand more about the non-guaranteed benefits, please click here to view the “Participating Policy Fact Sheet”. Q5: How can I make use of the Annual Dividends / Reversionary Bonus in my policy? A5: The Annual Dividends are regular cash dividends and are guaranteed once declared. You may choose to withdraw the declared dividends to meet your specific needs or leave them with AXA to earn interests. You can also use the accumulated dividends to pay premium or to purchase paid up addition, subject to applicable terms and conditions. Reversionary Bonus is also a regular bonus but in the form of additional face amount (i.e. Sum Insured) and cash value. Face value of Reversionary Bonus will be payable in the event of the death of the insured and cash value of Reversionary Bonus will be payable at policy surrender or policy maturity. Same as Annual Dividends, face value and cash value of Reversionary Bonus are guaranteed once declared. You may also withdraw the cash value of declared Reversionary Bonus to meet your specific needs. When the cash value of declared Reversionary Bonus is withdrawn, the cash value of its corresponding Terminal Bonus (which is derived from the Reversionary Bonus) will also be paid. Q6: What is Terminal Bonus / Terminal Dividend? A6: Terminal Bonus / Terminal Dividend is non-guaranteed benefit and is payable upon surrender, death or at policy maturity according to the respective policy provisions. Unlike Annual Dividends / Reversionary Bonus, it does not form a permanent addition to the policy. It may be increased or decreased at subsequent declaration. The amount will be determined when it becomes payable. If the product has both Reversionary Bonus and Terminal Bonus, the face value of Terminal Bonus will be payable in the event of the death of the insured and cash value of Terminal Bonus will be payable at policy surrender or policy maturity. Q7: How can I make use of the cash value in my policy? A7: You may choose to withdraw a portion of the policy cash value by means of partial surrender, or borrow against the cash value through policy loan, subject to applicable terms and conditions. Q8: What will happen if I fail to make a premium payment on time? A8: If you pay the outstanding premium during the grace period (31 days after the premium due date), there will be no interests charged on your outstanding premium. In order to keep the policy in effect and to avoid loss of protection, if the outstanding premium is still not settled at the end of the grace period, any accumulated dividends (if any) in the policy will be automatically withdrawn to pay the outstanding premium. Please note that the automatic withdrawal of accumulated dividends to pay the outstanding premium is only applicable to the products with Annual Dividends. If there is no accumulated dividend in the policy or the product has Reversionary Bonus only without Annual Dividends, and there is enough cash value in the policy, a loan would automatically be taken against the cash value to pay the outstanding premium provided that the loan amount does not exceed certain percentage of the cash value. Q9: Why should I buy a term insurance now but not in the future? A9: You can get protection with a lower premium if you start your term insurance plan earlier. Besides, our term insurance plans offer you guaranteed renewal without the need to provide any proof about your health condition, thus extending your protection until age 75. In addition, you can also choose to convert your term insurance plan into one of our selected whole life or coupon plans before age 70. Questions and answers below are applicable to critical illness and major illness. Q1: What is major illness insurance? A1: A major illness would distress you and your loved ones as the expensive and prolonged medical treatments may place a large financial burden on the family. A major illness insurance gives you a lump sum cash benefit if you are diagnosed with a covered major illness. You can use this cash benefit to finance the treatment and recuperation, pay off your debts or pay for your living expenses. Q2: What is the difference between major illness insurance and medical insurance? A2: A major illness insurance offers a lump sum cash benefit upon diagnosis of any of the covered major illnesses to pay for treatment or any other expenses. On the other hand, a medical insurance is designed to reimburse medical costs and ease financial burden during hospitalisation. Q3: How should I choose among the major illness protection products? A3: You may choose a standalone basic plan or a rider attachable to your life insurance plan. For female customers, our Smart Lady Insurance is specially designed to include illnesses that women are prone to. The table below summarises the major illness plans that AXA currently offers. *including the compulsory rider "HealthElite Enhanced Benefit Supplement"
Q4: What is Terminal Dividend? A4: When your policy has been in force for 5 years, the basic plan may pay you a non-guaranteed terminal dividend. This non-guaranteed terminal dividend (if any) is payable when (a) all benefits payable under the basic plan reach 100% of the sum insured of the basic plan; (b) the policy is surrendered; (c) the policy matures; or (d) the insured passes away, whichever is earlier. Terminal dividend may be reduced or increased by the Company from time to time. Its actual amount will only be determined when payable. To understand more about the non-guaranteed benefits, please click here to view the Participating Policy Fact Sheet. Q1: Why do I need accident insurance? A1: Accidents can happen anytime, anywhere. An accident insurance protects you and your family against the unexpected financial burden arising from an accident. Q2: Does accident insurance provide coverage for medical costs? A2: Medical expense benefit is available under our Extra CARE Insurance Plan and Child Accident Protector, which covers medical expenses incurred due to accidents. The medical expense benefit under Child Accident Protector also offers customers the flexibility to choose Chinese bone setting and acupuncture treatments. Q3: Does medical expense benefit cover hospitalisation expenses? A3: In general, medical expense benefit under our Extra CARE Insurance Plan and Child Accident Protector covers medical expenses incurred from both in-patient and outpatient treatment as a result of accidents. Q4: Does the plan cover accidents outside Hong Kong? A4: You can be assured that you will be covered if the accident happens outside Hong Kong. The benefit in most developed regions remains unchanged, whereas in some special locations. the benefit may be subject to different limits. Q1: Why do I need disability income insurance? A1: Having disability insurance is a wise step to protect yourself and your family from unexpected loss of income because of disability. Q2: Will my disability income benefit catch up with inflation? A2: If you are covered under our Disability Income Protection Plus, its escalating benefit will ensure that once the disability benefit is payable, it will be adjusted annually according to the Consumer Price Index (up to 6% a year). Q3: Do I need to continue the premium payment if I become disabled? A3: If you have purchased our Disability Income Protection Plus / Disability Income Protection as the basic plan, you will be covered with our waiver of premium benefit. In case of total disability where you are unable to work for six months or longer, your future premiums are waived until you recover. The premium paid during the first six months of disability will be refunded. Q4: Does the plan provide the same benefit if I live outside Hong Kong for a certain period? A4: The coverage for the disability income plan is worldwide. However, during the period when you live outside Hong Kong, Macau, North America, Europe, Australia, New Zealand, Japan and Singapore, benefits payable for total disability and partial disability are reduced by 50%. Q1: Why should I use Life eServices? A1: Life eServices is free to our valued customers. It allows you to enquire about policy details anytime, anywhere via the Internet. Q2: Do I have to pay for Life eServices? A2: No, Life eServices is offered for FREE. Q3: Is Life eServices available 24 hours a day? A3: Yes, you can access Life eServices 24 hours a day, seven days a week. However, occasional system maintenance, normally scheduled at midnight, may temporarily disrupt the service. Q4: Can I access Life eServices when I am overseas? A4: Yes, as long as you have an Internet-connected device loaded with the recommended hardware and software, you can access our Life eServices anywhere in the world. Q5: How will I know if my registration is successful? A5: You will receive an email notification with your Life eServices PIN on your registered email address. Q6: Can I change my Life eServices PIN? A6: Yes, you can change your PIN anytime to ensure security. Your new PIN should consist of eight characters in alphanumeric format – and should at least two English alphabets in both upper- and lower-case letters. Please note that the PIN is upper- and lower-case sensitive. Q7: What can I do if I forgot my PIN? A7: Go to our Life eServices webpage and request for a new PIN. The new PIN will be sent to your registered email address after we have verified your identity. Q8: What are the requirements to access Life eServices? －	Screen resolution of 800 x 600 pixels in 256 colours or greater. • Click “I’ll be careful, I promise"
• In the “Block cookies” section, specify if and when Safari should accept cookies from website. To see an explanation of the options, click the Help button (question mark). Q10: How secure is Life eServices? A10: Security is of utmost importance to us. You are required to identify yourself with your Login ID and PIN each time you access Life eServices, which helps protect your personal information. The information sent to your browser is encrypted with the 128-bit maximum strength Secure Sockets Layer (SSL) protocol. This high encryption helps protect your information from the time it is sent from our servers until it reaches your computer. To prevent unauthorised access to your PC while it is not attended, Life eServices has a built-in automatic time-out feature. The system will time-out if there is no screen page change for 15 minutes. Therefore, you must re-enter your Login ID and PIN if you wish to continue using Life eServices. Q11: How can I check if 128-bit Encryption is being used? A11: 128-bit Encryption is only supported on Microsoft Internet Explorer version 5.5 Service Pack 2 or later, and Netscape Navigator 4.57 or later. If your browser is a version prior to one of those listed above, Life eServices will auto-switch to the highest encryption rate supported by your browser, with a minimum of 40-bit encryption. •	Hold your mouse pointer over the padlock icon in the lower right hand corner of Internet Explorer. The message SSL secured (128-bit) should appear. •	For further details, click File, then Properties. •	Right-click any text on a page (not on an image) and select 'View info'. For Security, it should have This is a secure document that uses a high-grade encryption key for U.S. domestic use only (RC4, 128 bit). Q12: How can I enable 128-bit Encryption in Netscape? A12: You can check that 128-bit encryption is active through the following steps: •	Click the Security icon (large padlock) in the toolbar • Click Navigator on the left •	Click the Configure SSL v3 button Ensure all items are enabled except ‘No encryption with an MD5 MAC’. Q13: How can I make sure that I am really connected to AXA China Region? Check that the Certificate has a valid effective date. Q14: Is it OK to exit by closing the browser window? Q15: What can I do to ensure maximum protection of my account and information? Q16: Is there any advice for general security awareness? Q17: If I suspect there is any unauthorised access to my account, what should I do? A17: If you suspect any unusual access activity or discrepancies from your last logon time shown at the Life eServices homepage, you should contact our customer service officer at (852) 2802 2812 immediately. Q18: I cannot view Life eServices correctly with my browser? Q19: My PIN is not accepted. A19: Make sure to switch off CAPSLOCK and switch on NUMLOCK if you are using the numeric keypad to enter numbers. Q1: How and when should I submit a claim for Employee Benefits Health Insurance? •	For outpatient claims, complete the “Employee Benefits Out-Patient Claim Form”. •	For dental claims, complete the “Employee Benefits Dental Expenses Claim Form". •	For hospital and surgical claims, complete the “Employee Benefits - Hospitalisation & Surgical Claim Form". •	For hospital and surgical claims, complete the “Medical Insurance - Hospitalisation & Surgical Claim Form". Please refer to the instructions stated on the form for related claims. Claims should be submitted to AXA within 90 days from the date of consultation/treatment or discharge from the hospital. Q2: How can I check the status of my claims? •	Login under Employee Benefits section with your login name and password. •	Select “Claim” in the “Enquiry” menu. •	Key in the Policy No. (first 6 numbers) and your Cert No. The details of your and your dependent(s)’ claims that have been made in the past 12 months will be displayed. •	Log in to MyAXA. •	Click on "Group Medical Plan" which is under "My Policy List". •	You and view your claims and history in "My Claims". Q3: What is a valid referral letter? •	Specialist’s Visit: Issued by a registered doctor, the referral letter must state the exact diagnosis and the related specialty needed. It is valid for three months from the date of issuance or last follow up visit. •	X-Ray/Laboratory Test Fees: Issued by a registered doctor, the referral letter must state the exact diagnosis and type of X-Ray/laboratory test(s) recommended. It is valid for three months from the date of issuance and for one-off use only. •	Physiotherapy: A referral letter stating the exact diagnosis must be issued by a registered doctor. It is valid for three months from the date of issuance or last follow up visit. Q4: How can I get back the original receipt of claim? •	Attach a photocopy of the doctor’s receipt and the claim form, when submitting the claim. •	Please submit a written request for return of the original receipt by fax to (852) 2598 6502 or by mail within 30 days after submission of the claim to AXA. Q5: How can I check the panel doctor list? 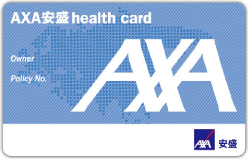 Internet: Visit www.axa.com.hk and login under Employee Benefits section with your login name and password. Select “Doctor List” from the “Enquiry” menu, then key in the policy number (first six numbers) and the affiliated code. Mobile app: Go to App Store (for iPhone) or Google Play (for Android) to download and install "MyAXA". Panel doctor list is available in MyAXA. Q6: Are consultations of acupuncture and “Tui Na” covered under Chinese Medicine Practitioner benefit? A6: Consultations involving acupuncture, “Tui Na”, body and foot massage, “Qi Gong” and ear reflexology are generally not covered under the Chinese Medicine Practitioner benefit. For details, please refer to the relevant Benefit Provision, which is applicable to you. Q7: Is herbal boiling fee covered under Chinese Medicine Practitioner benefit? A7: Other services not related to consultation and medicine such as medicine making and boiling are generally not covered under the Chinese Medicine Practitioner benefit. Q8: What is a “Pre-existing Condition” for Employee Benefits Health Insurance? A8: No benefits will be paid for medical treatment (or surgical care) of injuries or sickness that were received within three consecutive months immediately preceding. the insurance effective date. Benefits will subsequently be payable, subject to the terms of the policy, if there is no any medical or surgical care or treatment in respect of the injuries or sickness during any consecutive 3-month period. Q9: How and when should I enroll a new employee and his/her dependent(s)? •	Visit www.axa.com.hk and login with the policyholder admin login name and password. •	Click “New Enrolment” under “Member Administration”, and enter the employee and dependent details. •	The supervisor can then login with the policyholder login name and password and “Approve Enrolment” at “Member Administration”. •	Complete the “Employee Application for Employee Benefits Insurance” and submit it to AXA by fax to (852) 2598 6502 or by mail. Q10: How can I change the details of the employee or terminate the employee’s coverage? •	Click “New Change” / “New Termination” under “Member Administration”, then enter the employee and dependent details. •	The supervisor can verify with the policyholder login and name and password and “Approve Change” / “Approve Termination” at “Member Administration”. •	The details will be sent to AXA via online. •	Complete the “Report of Employee Changes & Termination” and submit it to AXA by fax to 2598 6502 or by mail. •	Changes and Termination should be submitted to AXA within 31 days from the employee’s eligibility date of coverage.